As one of the leading global content marketing agencies, John Brown Media continue to push their own boundaries. This is clearly evident in their latest project – a full advertising campaign conceptualised and rolled out by the successful Edgars portfolio team for Edgars Shoe Gallery. Edcon, South Africa’s largest non-food retailer and owner of Shoe Gallery, commissioned John Brown Media to bring their summer 2013/2014 offering to life and the result was ‘In Full Bloom’ – a unique identity for the Shoe Gallery brand, as well as in-store architecture which is attractive, emotionally engaging and aspirational. The campaign aims to showcase ‘Shoes As Art’, with beautiful shoes featuring as the hero of every fashion-forward shot. The Art Director, Candice Gericke, applied intricate overlays to every image to create the illusion that beautiful artworks of floral fantasia are delicately growing up around the models. Oversized floral window vinyls frame the shoes displayed in the window, while giant white frames display shoes and campaign images in-store, creating a Garden of Eden showcase. Floral is all over the international runways at the moment from high-end designers like Prada, Chanel and Alexander McQueen – and also on countless streetstyle blogs – so it couldn’t be more on point right now. Shot in Cape Town by photographer Caroline McClelland and styled by renowned Fashion Director, Bev Nates, the full campaign will be in all six Edgars Shoe Gallery stores from September 2013. If you’re in the vicinity of a Shoe Gallery store, pop in to shop the selection of hot international brands as well as the high-fashion private label collections. Alternatively visit their Pinterest page (insert link), also managed by John Brown Media, for some inspiration and shoe eye candy. As part of a leading global content agency, John Brown Media is continuing to deliver on their positioning as a multichannel content marketing agency with digital capabilities. They are passionate about helping brands engage with their customers across a multitude of platforms, from digital and social media management to print. 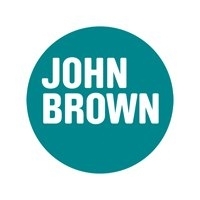 John Brown has offices in Cape Town, Johannesburg, London, Shanghai, Hong Kong and Dubai; allowing them to service clients such as Pick n Pay, Edgars, Discovery and Spur locally, and Waitrose, John Lewis, Orange, RBS and Spinneys abroad. Visit John Brown Media for more. Edcon is South Africa’s largest non-food retailer, with a market share of the South African clothing and footwear (C&F) market nearly twice that of its nearest competitor, trading through a range of retail formats. The Group has grown from opening its first store in 1929, to trading in 1,233 stores (at March 2013) in South Africa, Botswana, Namibia, Swaziland, Lesotho, Mozambique and Zambia. Edcon has been recognised as one of the top companies to work for in South Africa and continues to make significant progress in its employment equity and transformation goals. Edcon retail businesses are structured under three divisions: Edgars division, including Edgars, Boardmans, Edgars Active, Edgars Shoe Gallery, Red Square and the Group’s mono-branded stores such as Topshop, Topman, Tom Tailor, Dune, Lucky Brand and T.M. Lewin whose product is also available through Edgars stores, serves principally middle and upper income markets; Discount division including Jet, JetMart and Legit, serves principally middle to lower income markets; and CNA, the Group’s stationery, books, games, movies, music, hi-tech electronics and mobile retailer. The Edcon Credit and financial services division provides credit and insurance products to the Group’s customers. With the launch of its Thank U loyalty program, Edcon now has the largest retail customer database in South Africa with approximately 9 million customers. This enables Edcon to provide customers with relevant offerings across its suite of retail and financial services products. The March edition of Pick ‘n Pay’s popular Fresh Living magazine and its Afrikaans counterpart, Kook en Kuier, will be the first time the increased print run of half a million will be on shelves. Filled with content celebrating the last days of summer and the Easter season, the magazine will be available from 9th March and is free to all Smart Shoppers, on a first come first served basis. Fresh Living Magazine goes up to half a million copies monthly — an industry first! Fresh Living, November 2015John Brown Media South Africa is proud to announce a significant increase to the print run of Pick n Pay’s popular Fresh Living magazine and its Afrikaans counterpart, Kook en Kuier. John Brown is proud to announce the release of the Pick n Pay Glass Act YouTube series. The 12-episode video series, presented by Sibongile Mafu, aims to enlighten, entertain and convert entry-level wine drinkers with a fun, light-hearted approach to wine. With over 156 000 unique visitors to date, Discovery’s new healthy lifestyle website, DiscoveryForMe.co.za, is proving to be an important addition to the family of health information products already on offer by Discovery. “We’re thrilled at the great response that DiscoveryForMe.co.za has had so far, but we’re also aware that we have a great responsibility to our readers who view us as an important source of health and wellbeing information,” says DiscoveryForMe editor Catherine Davis, of John Brown Media. Following a five-way agency pitch, John Brown Media, one of South Africa’s leading content marketing agencies, is pleased to announce that it has been selected as the content partner for prestigious brands BMW and MINI. Pick n Pay’s Fresh Living, South Africa’s top selling food magazine, produced by John Brown Media, has been nominated for Best Retail Consumer magazine for the 2014 International Content Marketing Association (CMA) awards - the only South African title to have made this international shortlist. John Brown Media, a leading global content agency, has been selected by Total South Africa, the multinational oil and gas company, as the publisher of its staff magazine, @Total, for Southern Africa. John Brown Media, part of a leading global content agency, received top honours at the annual MPASA PICA Awards, held last week at Emperors Palace Hotel Casino Convention Resort. Recognised for their outstanding work in the Youth Category for Totem Magazine, the agency also walked away with Columnist of the Year for Fresh Living magazine and was highly commended in three other categories. With 28 issues of South Africa’s most widely-read fashion and beauty magazine under her belt, it’s with great excitement that current editor Justine Stafford is promoted to content director for Edgars. As part of global leading independent content marketing agency, John Brown Media is proud to announce that its South African business has attained a Level 3 B-BBEE Contributor status with a B-BBEE Recognition level of 110% and a Procurement Recognition level of 137.50%. Along with the launch of the John Brown Empowerment Trust, the group is passionate about transformation in South Africa. As John Brown Media – a world-leading independent content agency – continue to cement their position as digital content experts in South Africa, they’re pleased to announce the appointment of two digital talents to strengthen their dedicated team. Sue Disler joins as general manager (digital) and Luke Peters will take up role of digital publisher – their exceptional digital capabilities will enable John Brown Media to better service their growing client portfolio. Pick n Pay is to launch South Africa’s first online food blogger cooking competition, created and produced by John Brown Media. The competition will see South Africa’s top food bloggers seeing who can out-cook the rest to take the title of Pick n Pay Online Food Blogger of the year. Gorgeous fashion, dreamy holiday destinations, cool competitions and exclusive events are pulling in legions of new fans to the newly revamped Edgars Club website and its associated digital platforms. Pick n Pay Fresh Living, SA’s top selling food magazine, is delighted to announce that they were one of the big winners at the annual PICA Awards held last night, 15 November 2012, at Emperors Palace, Johannesburg. Produced by John Brown Media for the retailer, Fresh Living magazine scooped four of the most prestigious awards – Best Supplement for ‘Wonderful World of Green’, Best Magazine Retail and Consumer Goods, Editor of the Year (Customer) for Justine Drake and the coveted Customer Magazine of the Year. It’s no surprise that the John Brown Media team behind South Africa’s favourite food magazine, Pick n Pay’s Fresh Living, received top results at the annual Galliova Awards on the 19th of October – with talented foodies Justine Drake and Anke Roux being recognised for their outstanding work. John Brown Media, part of a global leading content agency, is proud to announce that it has secured development of the Edgars Club website and associated digital platforms. John Brown Media, a leading global content agency, has been selected by Spur Steak Ranches to publish Totem, their quarterly edutainment magazine. John Brown Media is part of a global leading content marketing agency, with offices in Cape Town, Johannesburg, London, Hong Kong and Dubai. Our passion is helping brands engage with customers across a multitude of platforms from digital to print. We launched in South Africa in 2007 to publish Pick n Pay’s Fresh Living magazine and have since added Edgars Club, Discovery and Spur Totem to our blue-chip client portfolio. As one of the fastest growing content agencies in South Africa, we offer our clients innovative 360-degree solutions. Pivotal to this offering is our growing digital capabilities; continuously raising the bar for our clients while remaining focussed on what we do best – helping brands create a dialogue with customers, which results in a commercial transaction and greater brand engagement. Pick n Pay’s in-store magazine, Fresh Living, is the top-selling food mag on SA shelves. This topical, fun and accessible food and lifestyle monthly is aimed primarily at women shopping for their families. Brimming with practical, modern recipes, health and décor ideas, humour, social commentary and local celeb interviews, Fresh Living aims to educate, inspire and entertain. We showcase the broad range of food and other products available at Pick n Pay, and focus on affordable, user-friendly solutions and ideas for the South African family. Discovery magazine, South Africa’s biggest circulating healthy lifestyle title, has a fresh, vibrant new look and content that is focused on healthy lifestyle inspiration, motivation and advice – rather than on disease prevention. Distributed three times a year, Discovery magazine offers relevant, easy-to-read health features by the best South African writers, plus fast, fun recipes, tempting travel ideas, fitness and sport, and technology. Discovery is posted to more than one million Discovery members. Close to one million Edgars shoppers receive Edgars Club magazine each month, an exclusive publication for Edgars Club members offering a host of benefits plus top fashion, beauty and décor trends, exciting in-store products and practical ‘how-to’ tips to help members gain more from their Edgars shopping experience. Edgars Club magazine is published in English and Afrikaans and is aimed at the savvy shopper who wants to maximise the benefit of being an Edgars Club member. Spur Steak Ranches’ quarterly edutainment magazine, Totem, is the biggest circulating kids’ title in South Africa, packed with fun activities for children and distributed in more than 230 restaurants nationwide. With the ‘Secret Tribe’ members Soaring Eagle, Buffalo Brave and Buttercup on its editorial team, each issue reflects a passion for good food and family values and is jam packed with awesome competitions, interactive educational games, eco-friendly tips and a fun-filled Spur Secret Tribe Adventures comic.